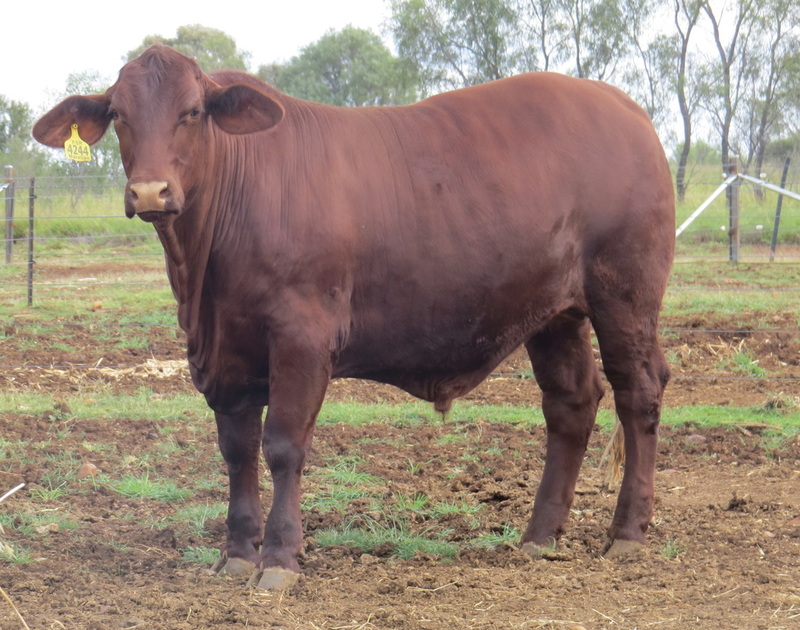 ​The Bos Indicus Female is the backbone of the Northern Beef Industry, even though Shorthorn Cattle came to Australia in 1800, and by later in that century accounted for almost 100% of the Northern Beef Industry. 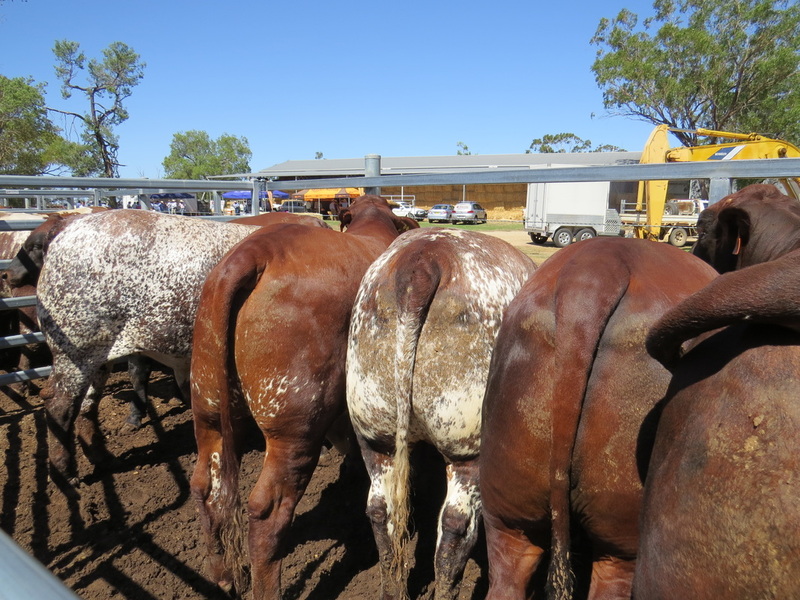 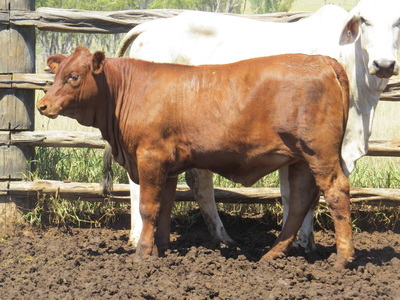 At Marellan Shorthorns, we are not trying to turn back the clock, but illustrate that Shorthorns have proved their worth in Queensland for well over 150 years. 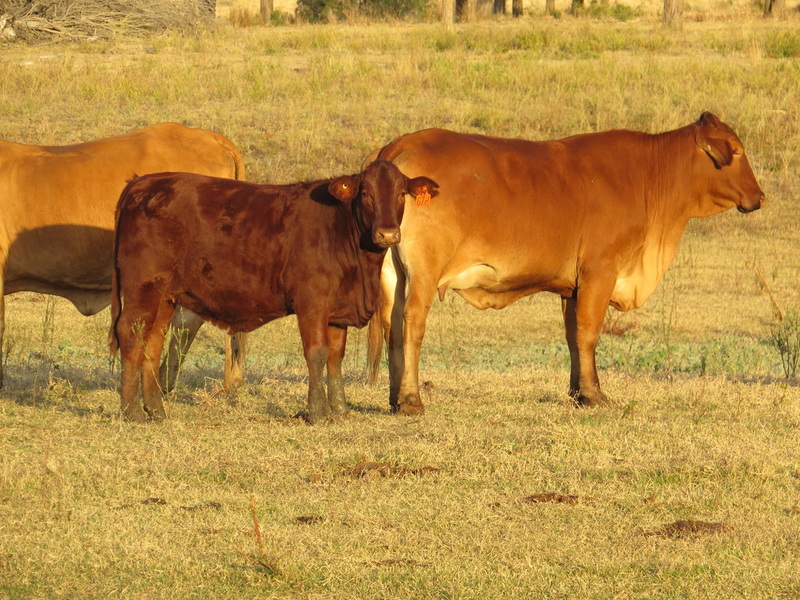 Country will always determine the type and content of cows run in a Beef Enterprise. 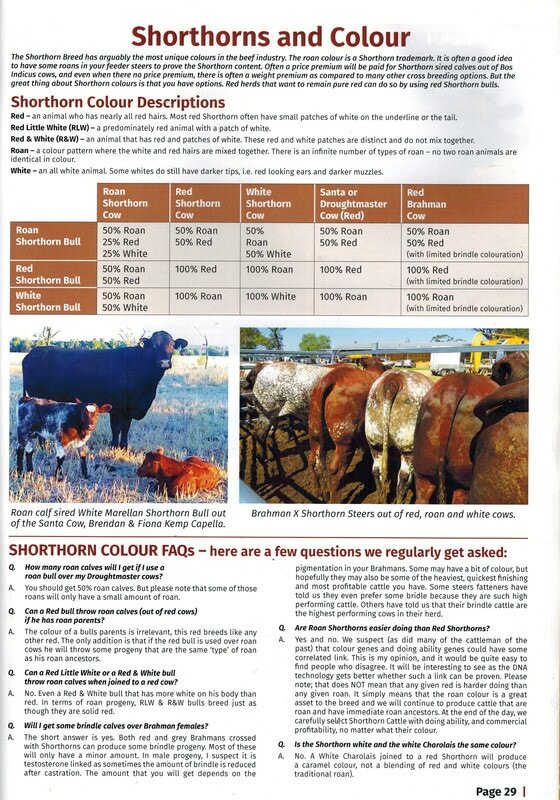 However, we believe that the Shorthorn and Bos Indicus combination (in all its various forms) is the most influential blending the Australian Beef Industry has ever seen. We feel that the Shorthorn’s ability to blend with Bos Indicus females is second to none. 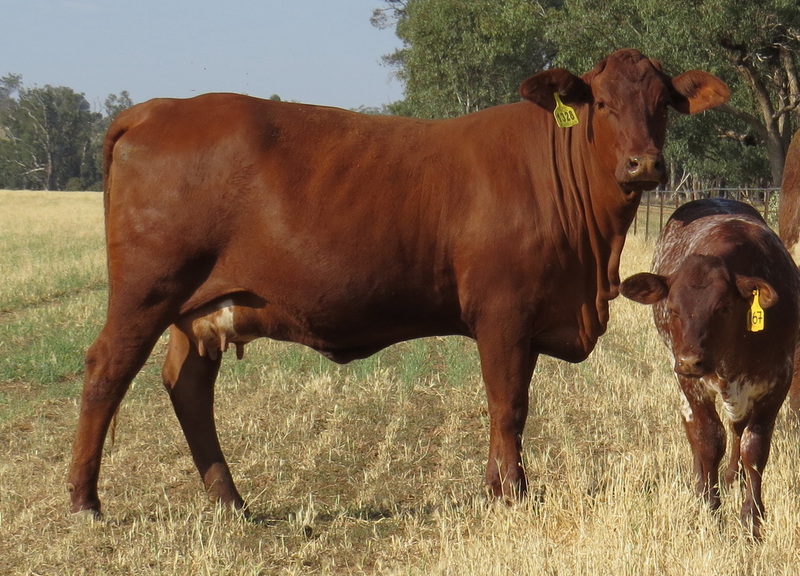 We breed Shorthorn cattle, because in our opinion the right Shorthorns have more potential to blend with, and have a positive influence on the northern beef industry than any other breed. Marellan Shorthorn Bulls are bred to blend with Bos Indicus Cows, and feedback is telling us that our bulls are Increasing Fertility, Increasing Market options, Increasing Meat Quality, Increasing Performance (through hybrid Vigour), and Decreasing Temperament Issues, whilst allowing producers to retain a cow herd that fits their environment. 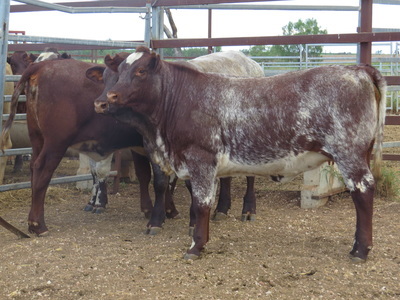 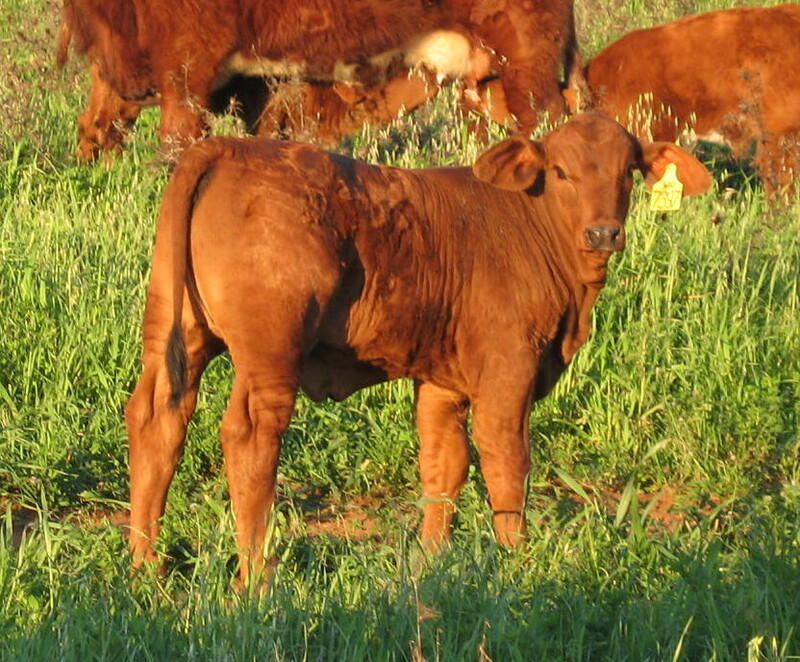 The Shorthorn X Bos Indicus female progeny create options; the option to sell off at young age, or the option to be retained as elite F1 females. ​Now is the time to be making decisions for the future. 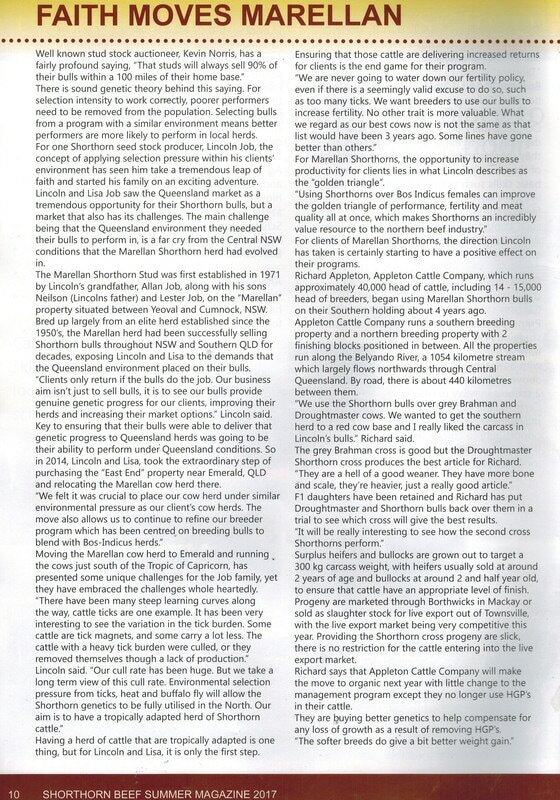 Unfortunately, the market will not always remain at record highs. 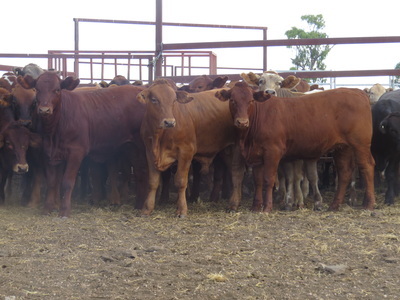 Being prepared with a herd that can access more market options is even more important for when the market drops than it is today. 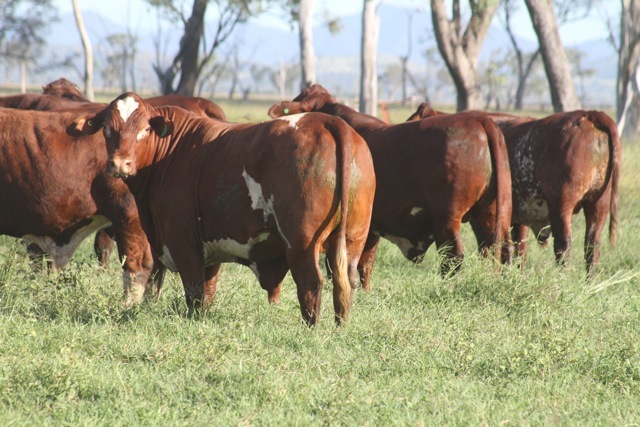 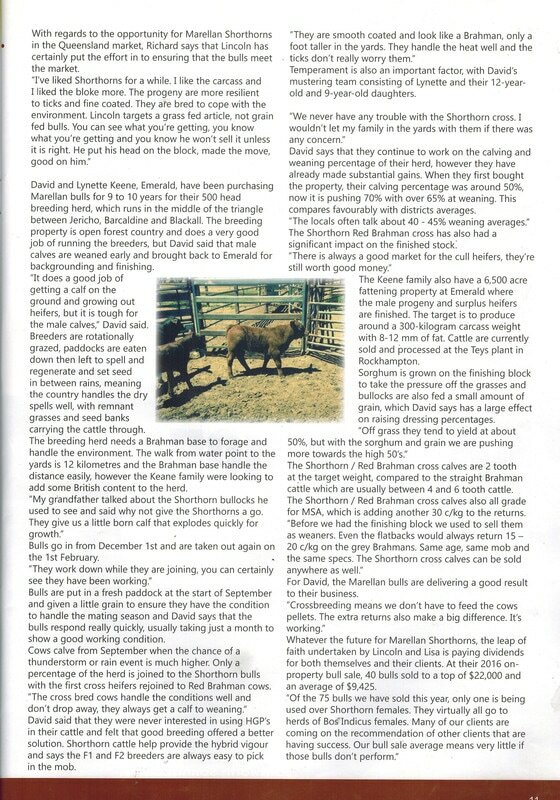 It will always be at the top end of profitability to produce young flat-back bullock's that can grade MSA and are fattened on grass or in the Feedlot - giving both market and seasonal flexibility. 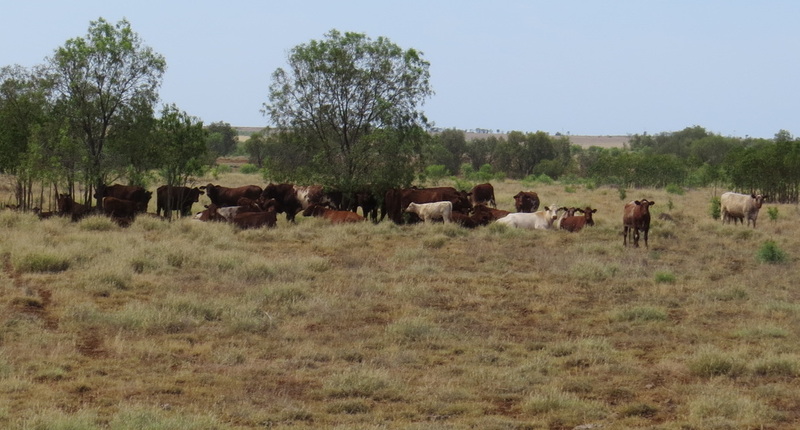 ​Our herd is in the ticky Central Queensland environment, consequently our herd has a similar environmental selection pressure to our clients herds. Marellan Shorthorn Bulls are being used over Brahman, Droughtmaster, Santa Gertrudis, Charbray, Brangus and other Bos Indicus blood females. 50% SH 50% Charbray - Brendan & Fiona Kemp, Capella.